New Delhi, April 12 (India Spend): Of the candidates contesting the first phase of Lok Sabha elections, 213 (17%) have declared they are facing criminal cases, of which 146 (12%) face serious criminal charges, as per an analysis of candidates’ affidavits by the Association for Democratic Reforms (ADR). About a third (32%) or 401 of 1,266 candidates whose affidavits were studied have declared assets worth Rs 1 crore or more. Among the major parties, the Telugu Desam Party (TDP) and Telangana Rashtra Samithi (TRS) are notable for having all (25 from TDP and 17 from TRS) ‘crorepati’ candidates. Nearly half of all candidates have declared they have a graduate degree or above, while 1.5% have declared they are just literate, and 5.2% that they are illiterate. About a third of candidates are aged between 25 and 40 years, while more than half are between 41 and 60 years. The first phase of polling began on April 11, 2019. ADR studied the affidavits of 1,266 of the 1,279 candidates who are contesting during this phase. Affidavits of 13 candidates were not analysed as they were not properly scanned or were incomplete. 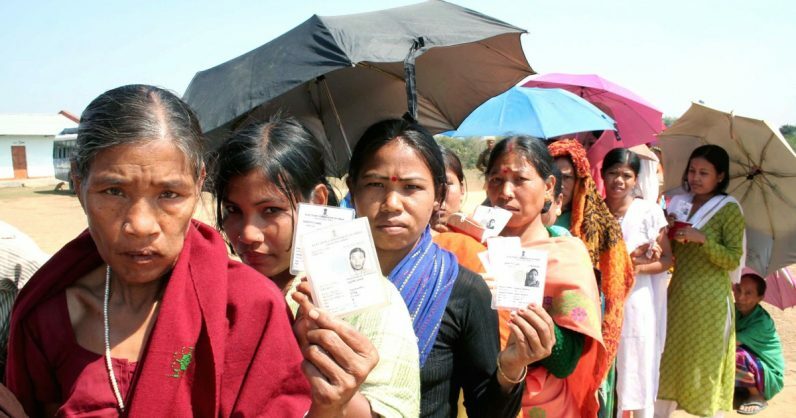 Candidates filing nomination papers for contesting an election have to submit an affidavit (Form 26) furnishing personal details that include details of income and assets, with PAN and income tax return as proof. A candidate also has to list the details of any criminal cases he or she has been charged with. If a candidate is found to have filed a false affidavit, he or she can be imprisoned for up to six months and/or made to pay a fine. The affidavits filed by the candidates contesting the 17th Lok Sabha elections are publicly available at the Election Commission’s website. Of the 146 candidates facing serious criminal charges, 12 have declared they have been convicted in the past. Persons convicted are debarred from contesting elections for six years from the date of conviction, but only if they have been sentenced to imprisonment of two years or more. Of the Congress’s candidates, 27% (22 of 83) face serious criminal charges, 19% (16 of 83) of the BJP’s, 13% (4 of 32) of the Bahujan Samaj Party, 40% (10 of 25) of the YSR Congress Party, 8% (2 of 25) of the TDP and 18% (3 of 17) of the TRS. Ten have declared they are facing cases related to murder, 25 have declared cases related to attempt to murder, four related to kidnapping, 16 related to crime against women and 12 related to hate speech, the ADR analysis shows. Among the major parties, 42% (35 of 83) candidates contesting on Indian National Congress (Congress) tickets have declared criminal cases against themselves, compared with 36% (30 of 83) candidates from the Bharatiya Janata Party (BJP) and 25% (8 of 32) candidates from the Bahujan Samaj Party (BSP). Among the members of parliament (MPs) of the 16th Lok Sabha, 55% who faced criminal charges were from the BJP, IndiaSpend had reported on March 30, 2019. The highest proportion of candidates facing criminal charges are from YSR Congress Party (YSRCP) which is contesting from Andhra Pradesh, 52% (13 of 25) of whose candidates face criminal charges. Among other parties based in south India, 16% (4 of 25) of the TDP’s candidates and 29% (5 of 17) of TRS’ candidates have declared criminal charges. As many as 37 of the 91 constituencies where polling is taking place during the first phase have three or more candidates facing criminal charges. Eight candidates facing criminal cases are contesting from the Nandyal constituency of Andhra Pradesh, seven from the Nizamabad constituency of Telangana, and six each from Narsapuram constituency of Andhra Pradesh and Khammam constituency of Telangana. A third of candidates have declared assets worth Rs 1 crore or more, as we have said before. Among the major parties, 69 (83%) out of 83 candidates from the Congress, 65 (78%) out of 83 candidates from BJP, 15 (47%) out of 32 candidates from BSP, 22 (88%) out of 25 candidates from YSR Congress have declared assets worth more than Rs 1 crore. The top three states with the highest number of crorepati candidates are Andhra Pradesh, Telangana and Uttar Pradesh: 132 (42%) candidates from Andhra Pradesh, 77 (18%) candidates from Telangana and 39 (41%) candidates from Uttar Pradesh have assets worth more than Rs 1 crore. While a third of all first-phase candidates have declared they owned assets worth Rs 1 crore or more during the last financial year, the three richest candidates in terms of assets are Konda Vishweshwar Reddy of the Congress from Chevella constituency of Telangana with total assets worth more than Rs 895 crore; Prasad Veera Potluri of YSR Congress Party from the Vijayawada constituency of Andhra Pradesh whose total assets are worth more than Rs 347 crore; and Kanumuru Raju from the Narasapuram constituency of Andhra Pradesh who joined YSR Congress Party in March after leaving the TDP, who has total assets worth more than Rs 325 crore. The top three candidates with the highest declared income during the past financial year are from Andhra Pradesh and Telangana, too. Jayadev Galla and Beeda Masthan Rao from TDP have income of more than Rs 40 crore and Rs 33 crore, respectively. Galla has mentioned business, agriculture, salary from parliament, income from investment and rents as his sources of income, while Rao has stated that his income is sourced from business, rentals, remuneration from a business group (BMS Group), shrimp farming and export, bank interest and pension from the state government. Gaddam Ranjith Reddy of the TRS has an income of more than Rs 16 crore, which he said are sourced from salary, rentals, business and agriculture. The party-wise average asset ownership is highest for the 25 candidates of YSR Congress Party at Rs 62.94 crore ($9.1 million), followed by the 25 TDP candidates with average assets worth Rs 57.77 crore ($8.3 million). The 17 candidates of the TRS have average assets of Rs 45.87 crore ($6.6 million). For the 83 candidates each of the Congress and BJP, the average assets’ worth is Rs 21.93 crore ($3.1 million) and Rs 14.56 crore ($2.1 million), respectively. There are 23 candidates who have declared no assets. The candidate who has declared the least assets (excluding the zero assets candidates) is Nalla Prem Kumar of Prem Janata Dal (unregistered) from the Chevella constituency of Telangana, who has declared a bank balance of Rs 500. Rajendra Kendruka of the Communist Party of India (Marxist-Leninist) from the Koraput constituency of Odisha has declared Rs 565, and Alakunta Rajanna, an independent candidate from Nizamabad constituency of Telangana, has declared Rs 1,000. Of 1,266 candidates, 526 (42%) have declared their educational qualification to be between 5th and 12th standard, while 619 (49%) candidates have a graduate degree or above. Five candidates fielded by the BJP have a doctorate degree, while the Congress has three such candidates. On the other hand, 19 (1.5%) candidates have declared they are just literate and 66 (5.2%) that they are illiterate. About a third (32%) or 411 of 1,266 candidates are in the 25-40 years age group, while more than half (53%) or 671 candidates in the 41-60 years age group, as per the affidavits analysed by ADR.